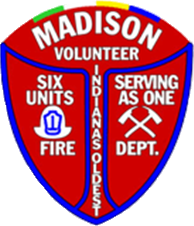 All trademarks, service marks, trade names, slogans, logos, and other indicia of origin that appear on or in connection with Walnut Street Fire Company No. 4 (herein known as “the Fours”) are the property of the Fours. You may not copy, display or use any of these marks without prior written permission of the mark owner. © 2011 The Fours, 424 Walnut Street, Madison, IN 47250. All rights reserved. The Fours and the Fours logo are registered trademarks. “When Duty Calls, It’s Ours to Obey” is the respective tagline for the Fours and cannot be duplicated by any fire company in the same district. This website is owned by the Fours, and hosted by a third-party service provider (Indy AdCafe) for our online functionality. Your privacy on the Internet is of the utmost importance to us, and we are committed to upholding the highest standards in online privacy and permission marketing. Because we gather certain types of information about our users, we feel you should fully understand our policy and the terms and conditions surrounding the capture and use of that information. This privacy statement discloses what information we gather and how we use it. The Four’s website uses security measures to protect against the loss, misuse, and alteration of the information under our control. We store the information in a database in a secure environment at our web hosting company, Indy AdCafe. We will never share, sell, or rent individual personal information with anyone without your advance permission or unless ordered by a court of law. Information submitted to us is only available to employees managing this information for purposes of contacting you or sending you e-mails based on your requesting information. The online membership application and contact pages on our website have input forms that require your name, phone number, email address and other information. You are giving us permission to contact you, and this information will not be used for any other purpose or shared with third parties. You may review and change your information with us at any time by contacting us at contact@firecompany4.com. To opt-out from having any provided information used for email and/or RSS feed communications from us, please click on the unsubscribe link in any message you receive from us. This will allow you to unsubscribe or update your message preferences. Alternately, you may contact us at contact@firecompany4.com to change any of your information. We give users options wherever necessary and practical, including the option not to register to receive our emails, e-newsletters, RSS feeds or blogs. The Fours is not responsible for the privacy practices or the content of any other websites to which we link.